Youth who have run away from home and do not feel safe to return home can enter any place bearing the yellow and black SAFE PLACE sign. Such locations are fire stations, Home Depot, libraries, and City Hall to name a few. They will immediately be connected to YCC and be transported home or to our residential crisis care program. 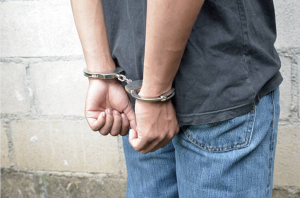 It’s our mission to keep these children safely off the streets while we work to reunite them with their families or to find a safe, stable alternative living environment with their parent’s permission. As one of the largest SAFE PLACE operations in the nation, YCC helps runaways and homeless children find their way back to their families across the U.S. We have partnered with The National Runaway Home Free Program to provide transportation via Greyhound Bus for children whose parents cannot afford to pay for their return home. Parents must file a missing persons report with law enforcement in order to utilize the Home Free program. For more information, please call 904-725-6662 or 1-800-720-0007. 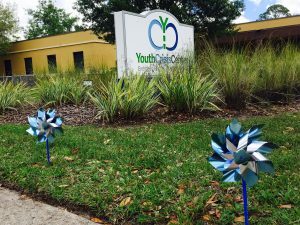 YCC is open 24 hours a day, 7 days a week.